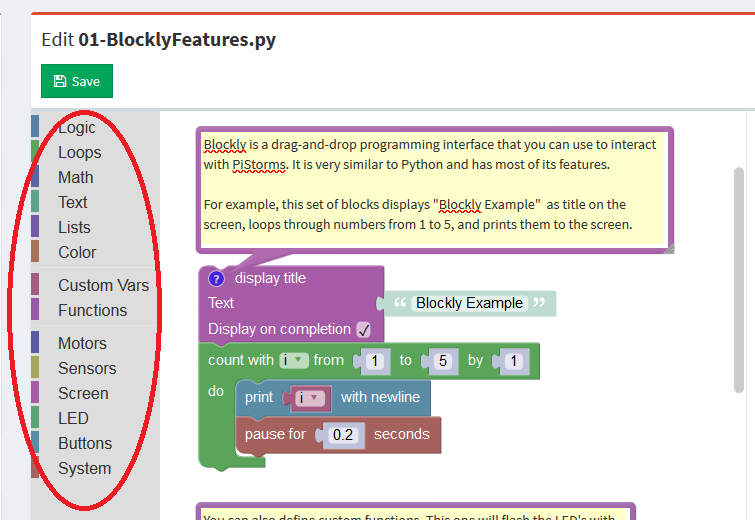 Blockly, a visual programming environment which resembles Scratch, was originally developed by Google. 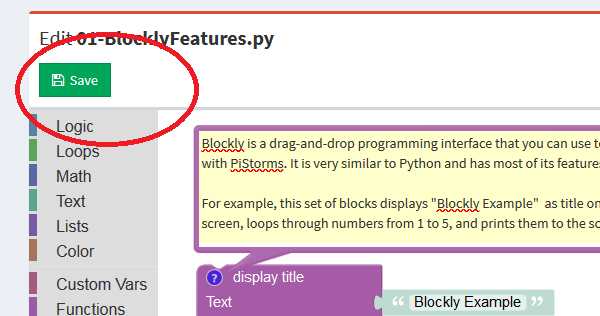 With the release 4.007 of PiStorms software, Blockly Visual Programming is integrated with PiStorms and is built into the PiStorms Web. You can use it from any PC browser, Smartphone or Tablet. (any Windows PC, Mac computer, Android phone/tablet or iPhone/iPad will work). follow the instructions here to access the PiStorms Web Interface. 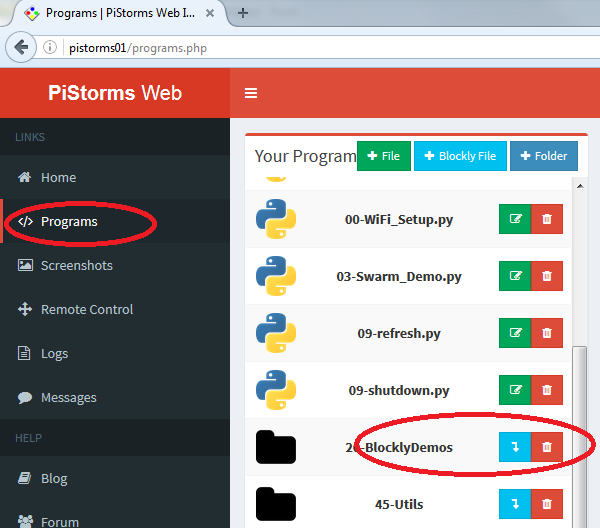 Open PiStorms Web in your browser and to access Blockly programs click on 'Programs' followed by '20-BlocklyDemos'. 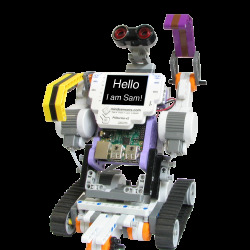 There are several demo programs included, start with '01-BlocklyFeatures'. Click on the green editor icon next to the program name, that would open the program in your browser. You can edit the program using this interface. Click on the toolbox label to open its blocks. 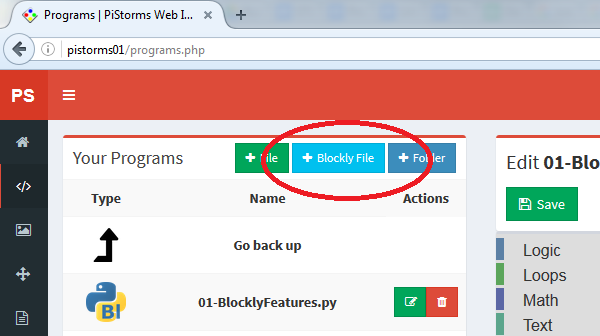 To create your own programs, click on the 'Blockly File' button and follow on-screen instructions. It will ask you for a file name and create that file to write your program. When done, use the 'Save' button to save your program. On your PiStorms screen, scroll down to '20-BlocklyDemos' and click on it. That will show you a list of files in that folder. From the list, click on the desired program to run it.